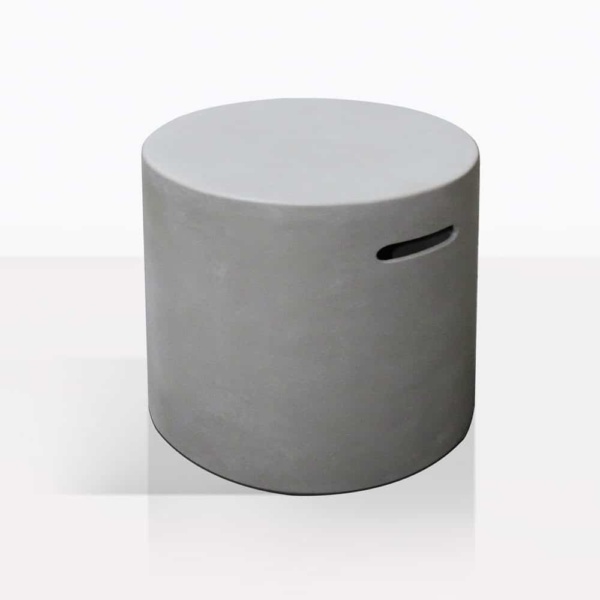 If you choose to create the ultimate outdoor living space with one of our gas fire pits, then be sure to check out our Round Concrete Propane Tank Cover! This concrete piece will fit over the tank and hide its unsightly looks. Plus it is made to look like one of our very popular concrete side tables. It will blend seamlessly into your space and look good while doing so. Call or email us today to order your fire pit and concrete cover! We are open daily and look forward to hearing from you!